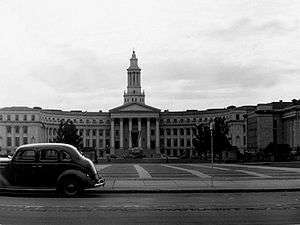 The City and County Building (seen here in 1941) is the home of the city council. 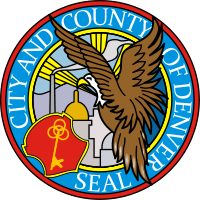 The Denver City Council is the legislative branch of government for the City and County of Denver, Colorado. The council is made up of elected officials from 11 city and county designated districts and two at-large elected members. Although the offices are officially non-partisan, the members are allowed to be affiliated with a political party. 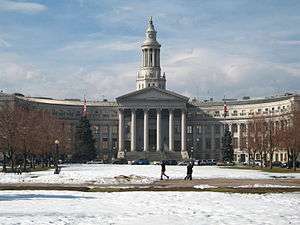 Most commonly in Denver history, members are almost always members of the Democratic Party, making a virtual monopoly on city politics favoring the party. Elections for all members are held every four years, the next being in 2019. The council elects a president to serve as a leader annually.